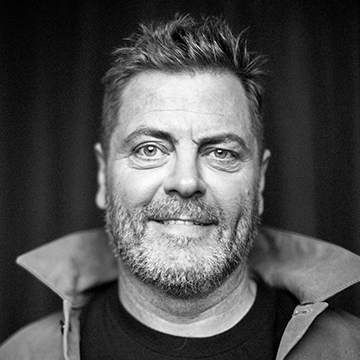 Today, Award-winning actor, writer, woodworker, and comedian Nick Offerman announced that he will be hitting the road for the first time since 2017, with his brand-new live show, ALL RISE. The public gatherings will be held at theatres in 37 cities across the country including Dublin’s Vicar St on Saturday 31 August 2019. Tickets priced €44 go on sale Friday 29th March at 10am through www.ticketmaster.ie & usual outlets nationwide.